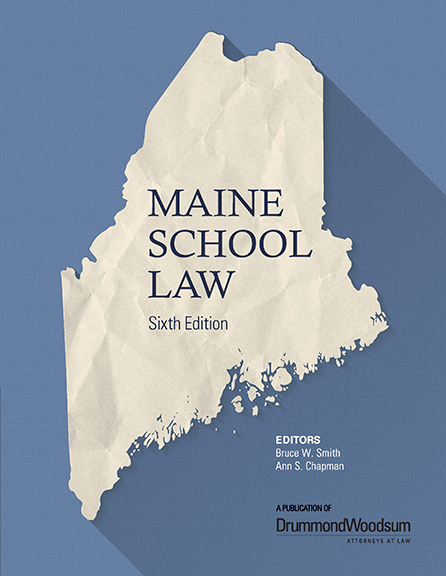 Maine School Law, Sixth Edition, is an indispensable reference for all Maine school leaders. This essential resource, written in clear language with a practical focus, expands on the 5th edition and includes the latest developments in Maine school law. Every superintendent, business official, principal and school board chair should have this valuable resource at their fingertips. As a comprehensive guide to Maine School Law this book provides school leaders with critical information and authoritative answers to legal questions. All new developments in Maine School Law since the fifth edition was published four years ago. Accessible and practical advice to readers who are non-lawyers, while still providing the depth and citations that are useful to legal professionals. Improved organization of chapters and an updated index to make it easier for readers to quickly find the answers to their school law questions. Maine School Law includes chapters ranging from the most common problems – such as student discipline and employee issues – to more specialized but challenging matters like employee benefits and immigration. We also address hot button topics such as free speech and student safety.